A No Carbon Required pad is the perfect choice if you are looking to make numerous, accurate duplicates, with as little waste or expense as possible. This superbly effective alternative to carbon paper makes creating two or more copies of every document a breeze. What’s more, Quadrant offers free delivery on all NCR Pads. The top sheet of an NCR pad comes with a coating of synthetic microcapsules that reacts when force is applied to it. This could be the force of a hand writing with a pen. The sheet beneath features a coating made of natural minerals that produces an accurate copy of the above text or image. Though complex, this coating makes life very, very simple for you or your employees when you need to make quick copies. 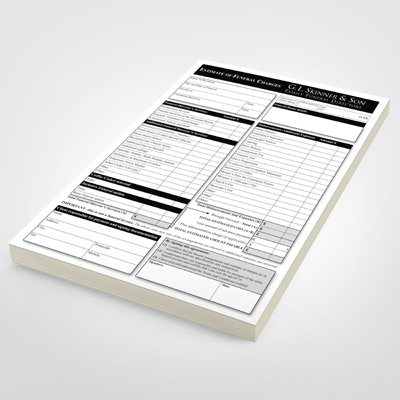 There are lots of reasons why you might require a high quality NCR pads in your average work day. If you need to create a handwritten receipt, fill out a customer’s order, take applications or write up invoices, for example, it is essential that the paper you use allows you to make two copies or more that are precisely the same. NCR pads ensure that you can do so with consistent accuracy. As you can see, NCR pads are a superb tool for anybody who requires a large quantity of duplicate documents. To get yours, just place your order today with Quadrant and we’ll send them to your address with free delivery.